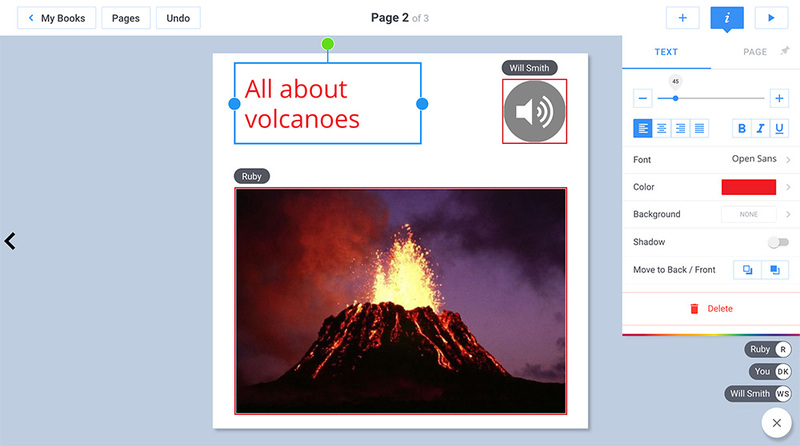 In Book Creator for Chrome, students and teachers can collaborate on a single book together, at the same time. Please note, this feature is only available to teachers or schools who have subscribed to one of our paid plans. However other teachers can try out the feature with a free 14-day trial. 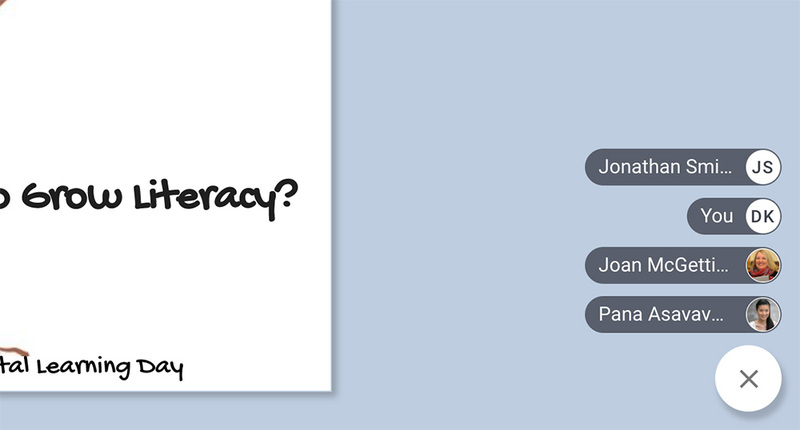 Collaboration is not yet available in Book Creator for iPad but we're working on it! Choose a book and click on the Share icon beneath the book, then choose Collaborate. Wait— I can't see the Collaborate option? If you're in 'My Books' then switch to one of your libraries. My Books is always private and doesn't support collaboration. If you haven't made a library here's the steps. If you're a student (or a teacher in another teacher's library) then first ensure it's your book selected. You can't enable collaboration on someone else's book. 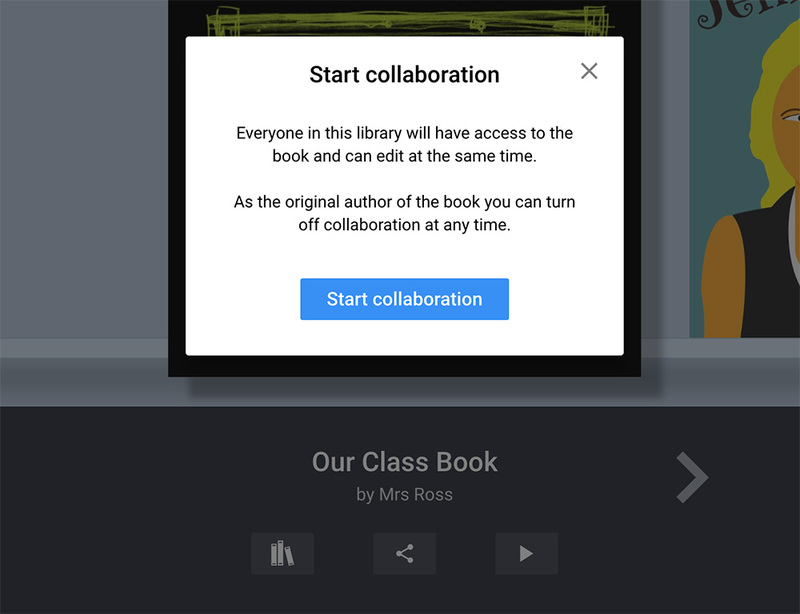 If the Collaborate button is still not showing then the teacher who created the library will need to enable collaboration first either by starting the free trial or upgrading to a paid plan. Now hit the Start collaboration button to confirm you want to make the book collaborative - everyone in the library will have access to edit the book. Once you've opened the book, you can get an overview of who's working on different pages by clicking the Pages button in the top toolbar. You'll see that any page that has one person working on it has a little person icon. If there are multiple people working on a page, it will be a double icon. You can click on the icon to see who they are. When editing a page, the bottom right of the screen shows anyone else working with you on that page. As you all work on the page, you'll see items be placed and move around the page in real-time as it happens (there may be a slight delay as items sync across the internet). You'll be able to see who is working on what as their names will appear around the bounding box. You'll notice your bounding box is blue, whilst everyone else's is red. Note: you can take over each other's items on the page, edit each other's text, even delete each other's work. So you'll need to work together to make sure everyone is happy and respectful. Maybe design some class protocols together? The owner of the book (or the owner of the library) can turn off collaboration at any time. 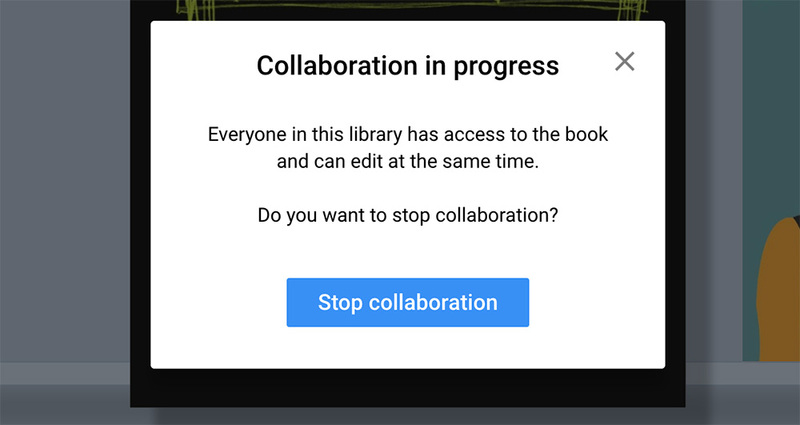 Just click on the share button (or the collaboration icon in the corner of the book) and you'll get a prompt to stop collaborating. Now no-one else can join the book and edit it, and anyone currently working in the book will be moved back out to the bookshelf. If you've turned off collaboration, all books will be set to read-only, and students will only be able to make a copy of a book to edit their own version.